It’s that time of year again, the longest two weeks of the year for football fans across the country. The Super Bowl is here. The two teams facing off in the championship game are the 15-3 Los Angeles Rams and the 13-5 New England Patriots. How did these two teams get here? Let’s start with the young and hungry Rams. The Rams had a remarkable 13-3 regular season with marquee wins against the Chiefs and the Chargers. They are led by young QB and MVP candidate Jared Goff. The head coach is Sean McVay who will be the youngest head coach to coach a Super Bowl at 32 years old. The Rams have built one of the best defenses in the NFL as they their front seven have dominated opponents all year with all-pro Aaron Donald leading the way. In the playoffs the Rams eased past the Cowboys at home to advance to the NFC Championship game against the Saints. Early in that game, L.A. went down 13-0 in the first quarter but fought back to send it to overtime thanks to possibly the worst no call in the history of football as Nickell Robey- Coleman hit Tommylee Lewis before the ball was near him and the Saints had to settle for a field goal, giving the Rams a chance to tie up the game and they did. After an unlikely error by hall of fame quarterback, Drew Brees, Jared Goff led a short drive to set up kicker Greg Zuerlein who knotted a 57 yard field goal to send the Rams to their first Super Bowl in 17 years. Surprise, surprise, the Patriots are back in the Super Bowl for the third year in a row and for the fourth time in five years. Their led by the 41 year old G.O.A.T, Tom Brady who will be making his record 9th trip to the Super Bowl. The coach for the Patriots is Bill Belichick, coaching his 9th big one with the Pats (technically 10 as he was the defensive backs coach with the Pats when they lost to the Packers). The Patriots started the season 1-2 and as always, many doubted Brady and Belichick and if there’s one thing everyone should know is to not doubt Brady and Belichick. They turned the 1-2 record into a 7-2 record but dropped to 9-5 and finished out 11-5 with wins against the Bills and Jets. A quick fun fact about the Patriots record. The Pats went 11-5 with all five of their losses coming on the road, but more interestingly, all five losses came against teams that missed the playoffs. In the postseason, the Patriots easily defeated the Los Angeles Chargers 41-28 as the doubted offense shined. In the AFC Championship game, the Pats squeaked out a cheeky win against the Chiefs on the road 37-31 in overtime as Tom Brady did what Tom Brady does as he basically led three game winning drives in the fourth quarter and overtime. 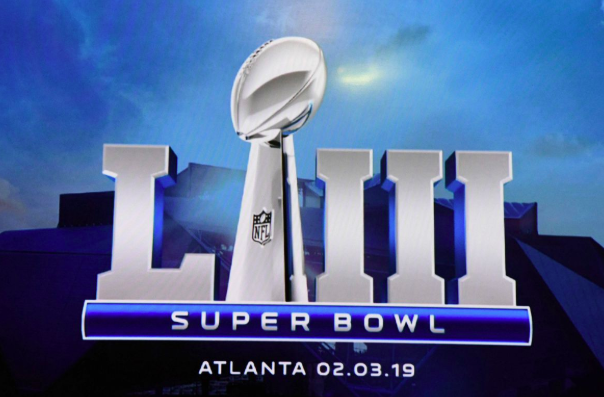 So now we have the final two teams ready to compete for the Lombardi trophy in Atlanta. What are the keys to the game for both teams? Let’s start with Los Angeles Rams. In Super Bowl LIII, one major factor for both sides will be how Todd Gurley III runs the ball. In New Orleans, Gurley rushed for 10 yards. His health has been a reason for his low numbers so keep an eye out over the next week and a half. Say that Gurley isn’t healthy. The Rams have a very good backup in C.J.Anderson who has Super bowl experience with the Broncos in SB50. He’s been on a tear over the last couple of weeks as he is averaging 99.7 yards per game in his last three games. Next Sunday, we’ll see if Jared Goff will be able to perform at the highest level on the highest stage. He’s 2-1 in his playoff career, both wins coming this year. He’s averaging just over 247 yards per game and a TD-INT ratio of 2:1. The defense for the Rams has so much hype leading up to February 3rd, but what do they need to do to stop Tom Brady? We’ve learned one thing, never play zone against Tom Brady. Tom will pick apart a zone. The key is to press at the line against Hogan and Edelman, Have Barron cover White out of the back field and most importantly, pack the middle of the field, make Tom Brady throw outside where you can jump a route once or twice to switch the momentum of the game. For the Patriots to win their 6th Super Bowl in 17 years, they need to keep things balanced and unpredictable on offense. Run the ball effectively, get Michel going early. If Michel gets going early with a mix of power rushes from Burkhead, the run game will be tough to stuff for the Rams. With that being said, in order to have an effective run game, the Pats need to win in the trenches. Marcus Cannon, Trent Brown, and David Andrews and even fullback James Devlin will all have key roles. Expect James White to have 10+ catches again in the Super Bowl as well as Chris Hogan and Phillip Dorsett coming up with big catches early and maybe even down the stretch. As for the defense who held the Chiefs to a goose egg in the first half in the AFC title game, needs to apply pressure consistently. Make Goff uncomfortable and don’t give the receivers too much time to make plays. A man the Patriots will be watching closely will be a familiar face in Brandin Cooks. Expect Stephon Gilmore to covering him with Devin McCourty spying him from up top. JC Jackson will have a key role in stopping Robert Woods who can make a big play in a heartbeat. Also expect Kyle Van Noy to lurk Todd Gurley out of the backfield when running routes. Lastly, don’t scheme too heavily for Gurley. Focus on C.J. Anderson as well as he will get a lot of touches as well. This is a very similar situation to last year as the Eagles had Ajayi, Blount and Clement.